Context: In less than two months time, rodenticide products for professional use by farmers will start to become available with new and legally binding ‘stewardship conditions’ labels, arising from a compulsory reauthorisation process. The supply of these products to farmers (also gamekeepers and professional pest controllers) will be governed by the UK Rodenticide Stewardship Regime. At the point of sale, this will require purchasers to show a formally-approved certificate demonstrating proof of competence in the use of rodenticides before being allowed to buy. Reporting to HSE, the regime is being implemented by the Campaign for Responsible Rodenticide Use UK (CRRU). What follows is a critically important practical issue for the regime’s impact and success. Except as a justifiable last resort against clear and sustained threats to human or animal health, the UK Rodenticide Stewardship Regime now rules out long term rodenticide baiting around the outside of farm buildings. There is substantial evidence of rodenticide contamination in UK wildlife due to non-target species such as field mice and voles feeding from fixed bait stations, according to chairman of the Campaign for Responsible Rodenticide Use (CRRU), Dr Alan Buckle. CRRU is responsible for the stewardship regime’s implementation in farming, gamekeeping and professional pest control. “Some of the most highly contaminated birds of prey – barn owls and kestrels, for example – feed almost exclusively on wild small mammals, not rats,” he explains. “The availability of tamper resistant bait boxes can give a false impression that it is acceptable for rodenticide baits to be put out for extended periods or even permanently. “The bait stations themselves, of course, are not the problem so much as what they contain. Indeed, a good reason for established baiting points is to overcome a natural aversion in rats to new objects in their home territory.” A planned control strategy based on the regime’s Code of Best Practice does allow non-toxic material in fixed bait boxes as an early warning system for new rat activity. To be effective, Dr Buckle points out that this demands regular inspection. If non-toxic bait is being taken, and an inspection for droppings rules out mice, voles or other non-targets, he says it can be replaced temporarily with rodenticide bait, in conjunction with chemical-free methods such as trapping, terriers and nocturnal shooting, for example, depending on the severity of infestation. The Code of Best Practice specifies a planned approach using a combination of methods, starting with those at lowest risk of adverse consequence. In particular, these include actions to make the farm as inhospitable to rats as possible: Clearing rubbish, denying access to food and water sources, controlling vegetation around buildings and installing concrete or bare ground perimeters, and involving all members of farm staff in the control plan. 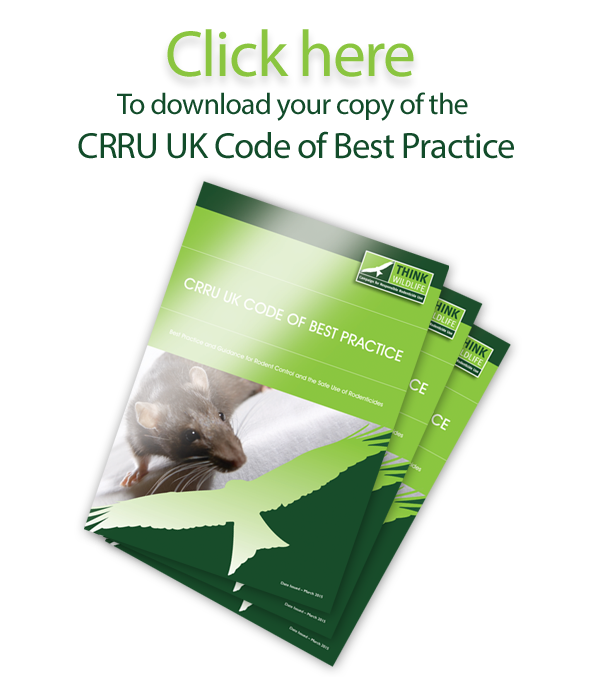 Comprehensive guidelines drawn up for farmers by AHDB, based on the rodenticide stewardship Code of Best Practice, are available at www.ahdb.org.uk/projects/RodentControlHub.aspx, either for online access or via a document download.